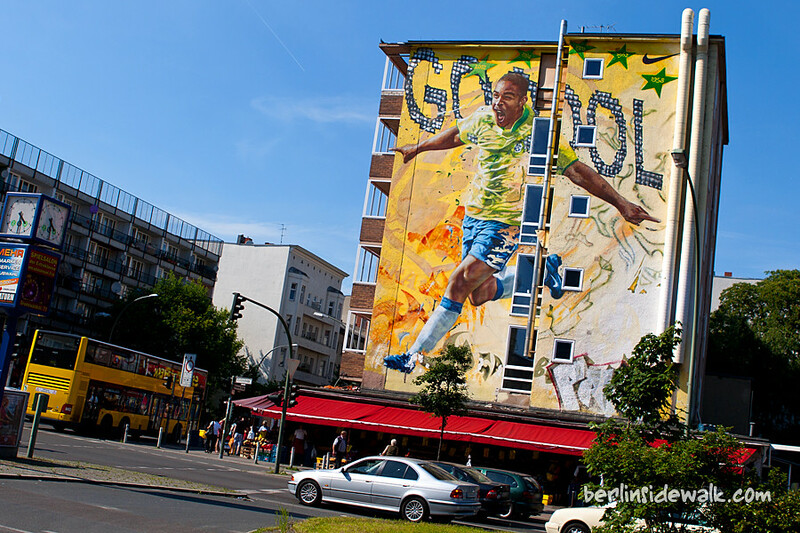 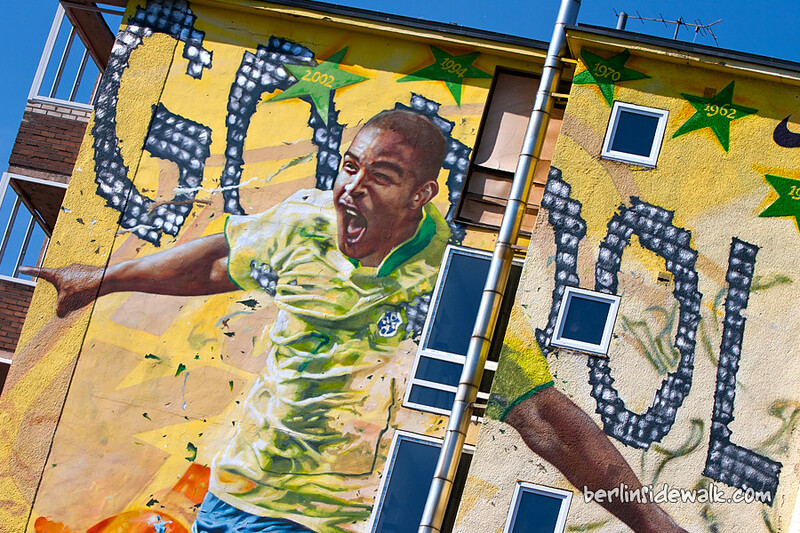 Because Berlin is a World City, nothing is odd, not even a huge Brazilian World-Cup-Victory-Celebrating Street Art. 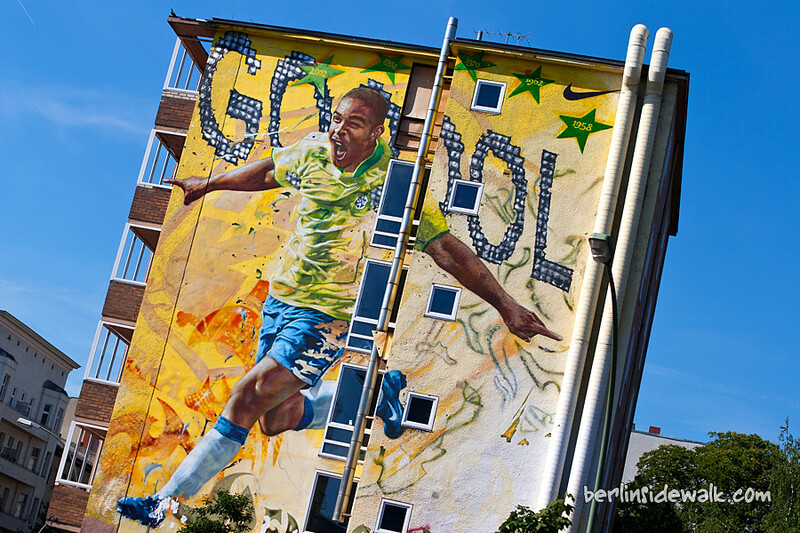 The painting, located in the Schöneberg district, was part of an art project named Joga Bonita (play beautiful) a unique promotion for the World Cup 2006 in Berlin/Germany. 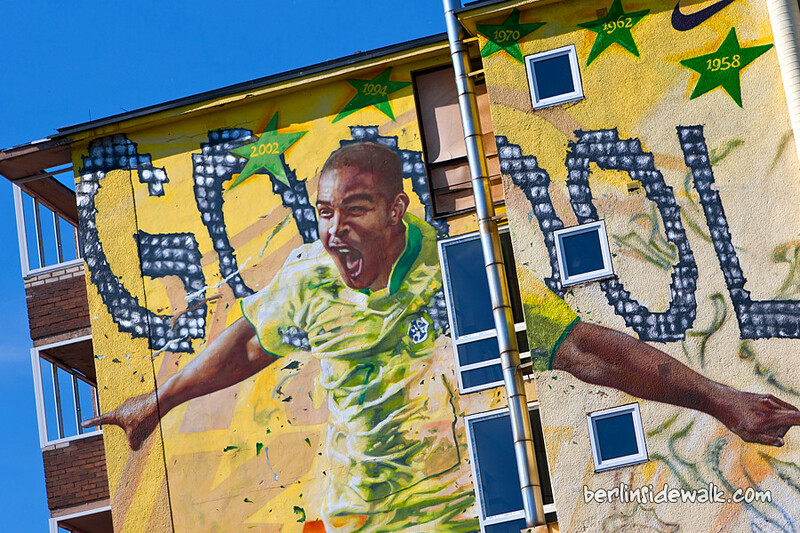 And who knows, maybe they have to add another star after this years event.